Welcome to this South Venice beauty! No stone was left un-turned in the contemporary remodel of this 3 bedroom, 2 bath home. This bright, airy, and open, split floor plan boasts new wall to wall luxury vinyl laminate flooring and new ceiling fans throughout. The kitchen has brand new, on trend, white shaker cabinetry, new countertops, new white appliances, and a large built in pantry. The master suite bathroom has been beautifully updated with a freshly tiled shower stall and a vanity with dual sinks. The guest bath has also been thoughtfully updated. You can relax after a long day on your enclosed lanai updated with a new ceiling fan, lots of windows, and freshly stained concrete floor.. Enjoy the use of an inside utility room, and plenty of storage in your deep and spacious one car garage. Bring your toys! There is an additional driveway that runs the length of the house and front yard. Perfect for parking your boat or RV! 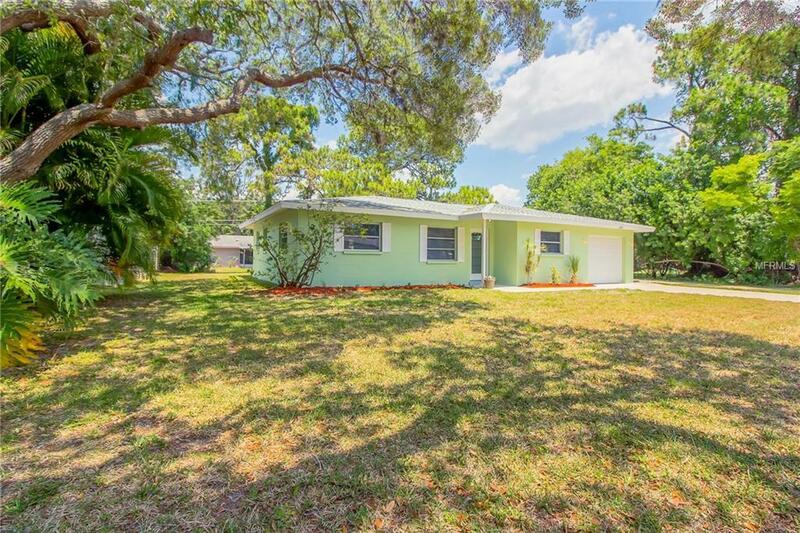 This home is located on a peaceful and quiet street in the community of South Venice. South Venice is home to a very unique, optional community association. For a small annual fee, you can hop on the whisper quiet electric ferry, and be transported to a private stretch of beautiful Gulf Coast beach, deeded to the community. For an additional fee, you can gain access to a private, community boat ramp as well. AC REPLACED IN 2014 AND ROOF REPLACED IN 2015. GARAGE DOOR, WATER HEATER, AND WATER SOFTENING SYSTEM REPLACED IN 2018. MOVE IN READY!! !